The making and breaking of codes and ciphers or cryptography, has been a source of deep interest to people for thousands of years. Cryptography may serve as an amusement for some, while the desire to secure private information in a digital age is a matter of earnest attention by researchers, business and governments alike. NKRYPT is a puzzle to be solved. 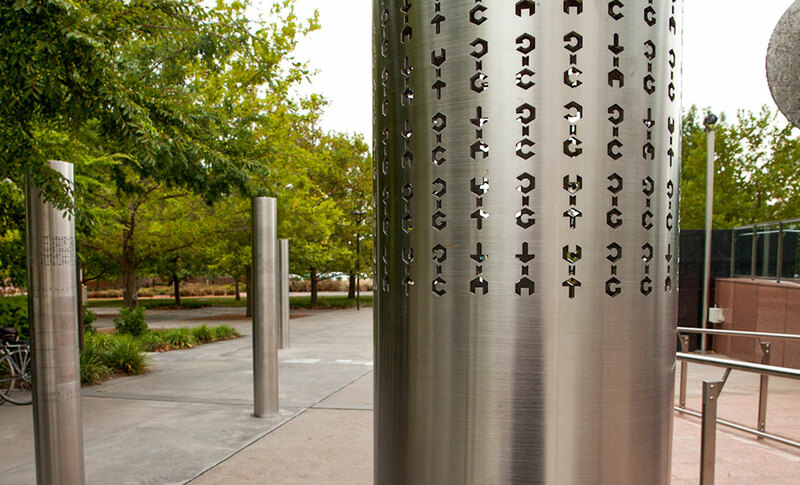 Separate codes and ciphers are laser cut into stainless steel poles. The challenges are discrete but interlinked and solving one puzzle provides a clue to solving others. Some are intended to be quickly broken, others are more challenging. Decoding a message may reveal a further puzzle to be solved. The final code will open with a key that will emerge from the solution of all the other codes. Dr Stuart Kohlhagen is the Deputy Director, Director of Science and Learning at Questacon in Canberra. Questacon – The National Science and Technology Centre and its programs are administered within the Australian Government Department of Industry and Science. Questacon, strives to promote greater understanding and awareness of science and technology within the community. They’re committed to making that experience fun, interactive, and relevant. Stuart has worked with Questacon since 1979, working with the founding Director to help establish many aspects of their current activities. During this time he has lead the design and development of interactive exhibits, he has also helped shape and deliver many of the programmes, shows and demonstrations that form a key part of Questacon’s activities and outreach programmes. Stuart has lead the delivery of numerous international workshops on exhibit development and has been especially active in supporting professional development of science centre staff from diverse countries. 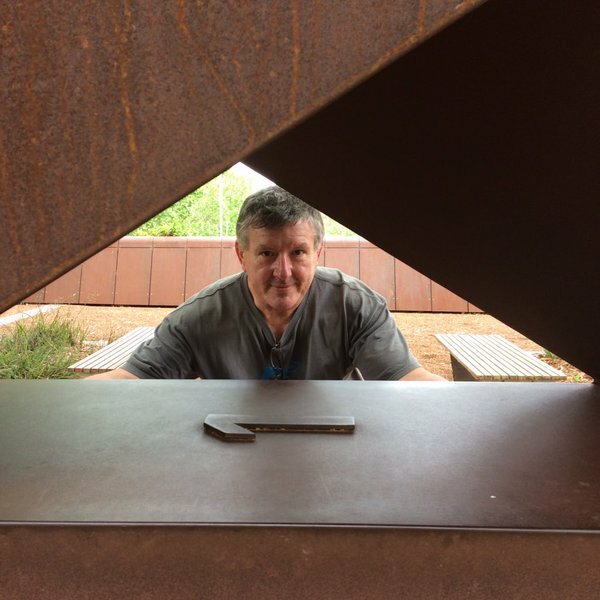 Stuart is closely involved with the University of Canberra’s School of Science and Education in facilitating the development of the new Masters of teaching course and is President of the Australian Science and Technology Exhibitors Network (ASTEN). Cryptography is the process of encrypting a message so it cannot be easily read by someone who intercepts the message either accidentally or illegally (such as hackers). Encryption occurs through codes or ciphers. A code is a word or phrase that represents something else. This was the traditional method of encrypting information and required large codebooks in order to cross reference terms used to decode the information. ‘The goose is cooked’ could mean ‘the mission is complete’ for example during wartime. A cipher works on the level of individual letters or small groups of letters. In modern electronic cryptography, ciphers represent individual bits and blocks of bits, so electronic information can be encrypted in a similar fashion. Everyday examples of encryption can be found within electronic communication used by banks, internet service providers and mobile phone companies, in an attempt to transfer data so it cannot be intercepted and translated by criminals. Today, cryptography is usually undertaken using computers and complex algorithms, in an attempt to thwart hackers who are also using technology to decipher encrypted information. 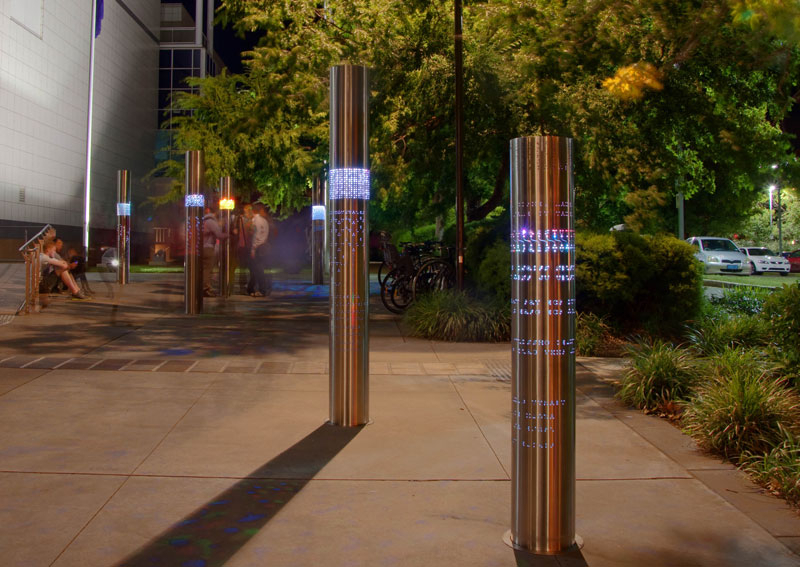 NKRYPT is Questacon’s contribution to the area of cryptography. It joins other outdoor sculptural exhibits in the area around Questacon, providing engagement and stimulation for visitors and passersby. NKRYPT contains a special code related to the 2013 Centenary of Canberra. This code was first decrypted in December 2013 by Melbourne-based engineer, Glenn McIntosh, who won a Q Club membership and a hot air balloon ride for his achievement. The Centenary Code symbols can be decoded into a series of numbers that represent GPS coordinates. These are interpreted to reveal the names of ten Canberra suburbs named after scientists and innovators (such as Farrer and Florey), or that have connections to Questacon (Ainslie, Parkes and Deakin). Whilst the Centenary Code Challenge has been solved, there are still many puzzles to be solved in NKRYPT. To date only about one-fifth of NKRYPT’s codes have been deciphered, and not all of the mysteries revealed in these decoded messages have been solved. The NKRYPT project portrays the Wonderment Walk concept, seed funding was provided by Wonderment Walk. Questacon – The National Science and Technology Centre, Canberra.